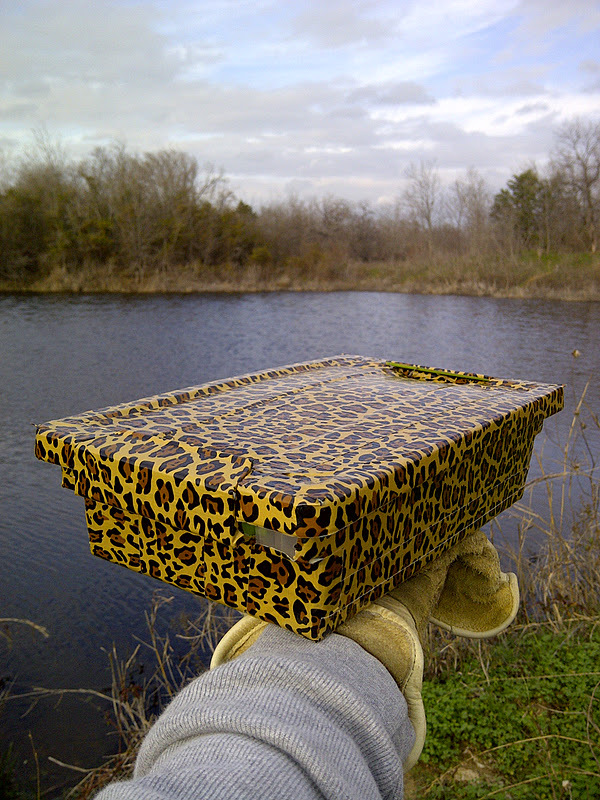 Returning to a favorite little fishing spot, I hid my first geocache; officially, it is a Letterbox Hybrid. I have found several types of geocaches, and seeing the cache contained within, I knew I wanted to expand more cache items for the fly fisher. "Letterboxing is an intriguing pastime combining map-reading skills and artistic ability with delightful 'treasure-hunts' in beautiful, scenic places" (http://www.letterboxing.org). Letterboxes trade stamp impressions, expecting no additional cache. It is my hope that the discoverers with their found posts will attract the attention of other fly fishers. In this I am reaching out to two groups--those expecting to trade rubber stamp impressions, and those expecting to trade swag specific to a purpose, instead of the general type of items traded, and if so desired, they can use their trade immediately.